Synopsis: Proper English governess Eleanor Morgan flees to the colonies to escape the wrath of a an angry duke. When the Charles Town family she’s to work for never arrives to collect her from the dock, she is forced to settle for the only reputable choice remaining to her—marriage to a man she’s never met. Trapper and tracker Samuel Heath is a hardened survivor used to getting his own way by brain or by brawn, and he’s determined to find a mother for his young daughter. But finding a wife proves to be impossible. No upstanding woman wants to marry a murderer. About the Author: I hear voices. Loud. Incessant. And very real. Which basically gives me two options: choke back massive amounts of Prozac or write fiction. I chose the latter. Way cheaper. I've been writing since I discovered blank wall space and Crayolas. I seek to glorify God in all that I write...except for that graffiti phase I went through as a teenager. Oops. Did I say that out loud? Review: Not what I expected in a good way. Although there are religious aspects, the religious overtones do not drown out the main story, nor is this an overly romantic, leaving the reader with a lot of fluff, and no substance. 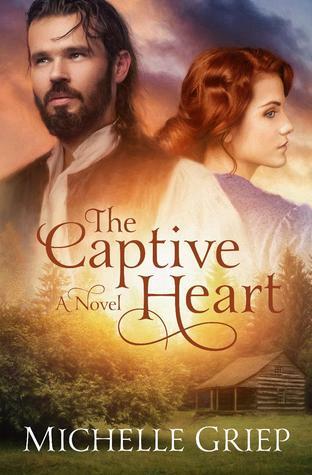 A good read for romance and historical fiction lovers alike, this peek into the frontier of the new colonies, and those who inhabit them is a great read to curl up with.